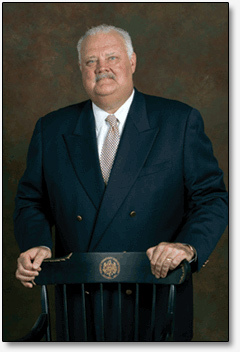 Dr. John W. Miller retired from his duties as the 12th president of Central Connecticut State University in Septermber 2016. He first produced The America's Most Literate Cities rankings in 2003. Since then, Miller's annual rankings have grown increasingly popular and have been featured regularly in USA Today and over a wide range of other national and international print and online publications such as: US News & World Report, The Wall Street Journal, The Village Voice, Reuters, AP Online, UPI, Asian News International, as well as on many other local, national, and international sites, while also making numerous appearances in the broadcast media: CNN, ABC Radio, as well as on nearly every TV and radio outlet in the 70 cities ranked in the study. Conservative estimate puts the audience for the survey now at well over 150 million, worldwide. As an indication of its penetration of the national cultural awareness, AMLC has also been featured on the Colbert Report and on Saturday Night Live. In 2016, Miller surveyed the World's Most Literate Nations and ranked 61 nations according to how well those nations support the literate behaviors of their populace. It is a companion to Miller's book (co-authored with Michael C. McKenna) World Literacy: How Countries Rank and Why It Matters (Routledge, 2016). For the online survey, tap here. Prior to coming to Connecticut, Miller served as the Chancellor at the University of Wisconsin-Whitewater for six years, where he originated his pioneering study of America’s most literate cities. He has also been Dean of the College of Education at Florida State University from 1993-1999. He served as a professor and an administrator at Georgia Southern University and Wichita State University. Miller has taught students in public education from the elementary to doctoral degree levels in the United States, Costa Rica, England, and South Africa. He has lectured in many other countries, including Ireland and Sweden. Miller’s academic background includes a bachelor’s degree in journalism from Ohio University (1969), a master’s degree in education from Northern Illinois University (1972) and a doctorate degree in education from Purdue University (1975). retention, and graduation of underrepresented students in higher education in 2005, and the Pacesetter Award from the National Academic Advisory Association as CEO of the year in 2003. His annual study of America’s Most Literate Cities has been published by USA Today, and recognized in over 100 of the largest daily newspapers and on National Public Radio. Miller has served as Principal Investigator and written 19 research and training proposals funded for a total of $4.5 million by state, federal, and private agencies, including the Department of Defense, Department of Education, Bell South Foundation, and Foundation for Improvement of Postsecondary Education.